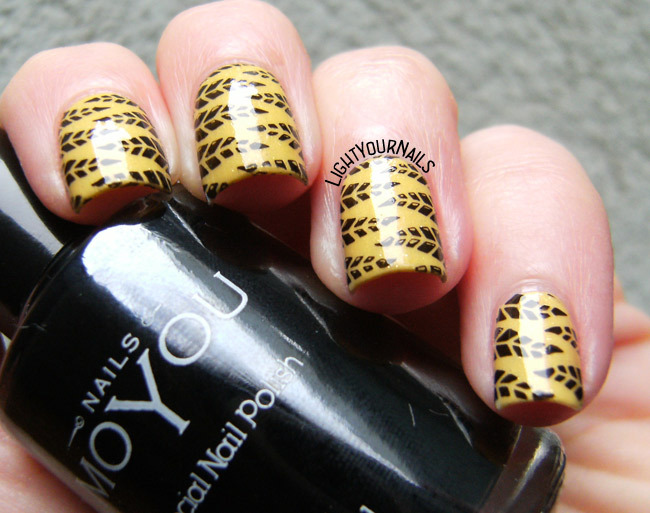 Cornfields stamping | Light Your Nails! Love this simple design! 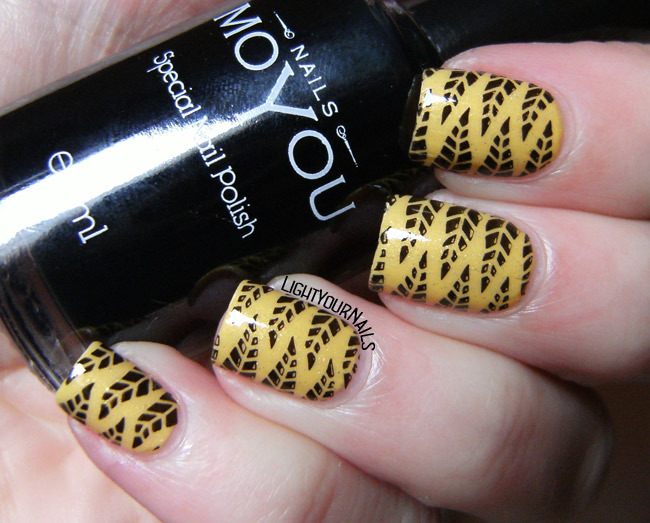 Yellow and black are always a great combo! Unusual color pick for these cornfields, but it looks interesting and very well! 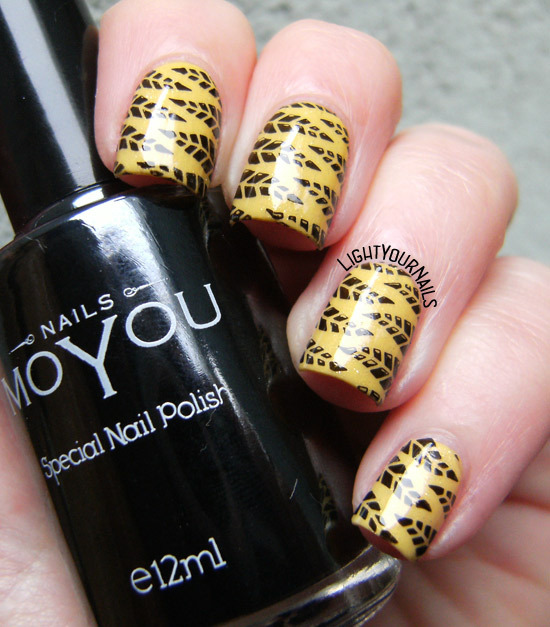 I don't understand why you don't completely adore this mani; I do! It is fun, bright and funky! And why don't I have this plate? That's so weird! Whaaat? You are missing this plate? No, no, no! Really? I think I've used mine at least twice each! I love them! Such a pretty design, and I love that plate! I'll have to wait for it to be restocked!